So for my birthday my little sister bought me this set of make up brushes which I have been wanting for so long! From left to right, there is a contour brush, pointed foundation brush, detailer brush and a buffer brush and they are THE softest brushes ever! 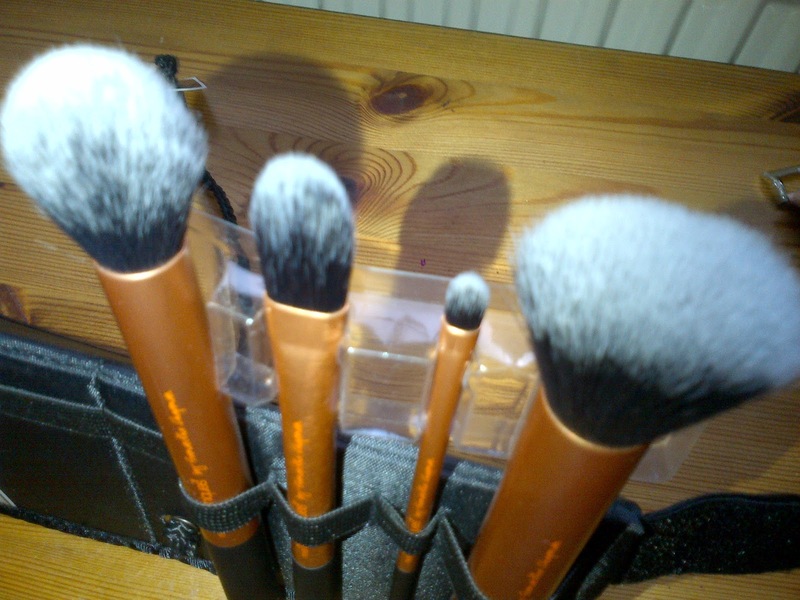 I have used these brushes every day since i've had them and I just love them! I did think the foundation brush was a bit small at first but it's actually grown on me and is good for getting round places like your nose! I then use the detailer brush for concealer which is great as it's so small, you can also use it for your lips but I don't want to get lip product on it as I use it for concealer every day! The buffer brush has got to be my favourite, it is SO soft and it does feel literally like it's buffing your powder onto your skin and so makes it look so smooth and doesn't leave you with a strange powdery face! I do use a different brush for bronzer/blushed but I use the contour brush to apply bronzer on either side of my nose to try and make the thing look smaller! Also, they come in a black case which you can fold into a stand as it is in the above picture, though I do tend to keep the case flat. Overall, I am so happy with these brushes I absolutely love them and I can't wait to add to my collection! 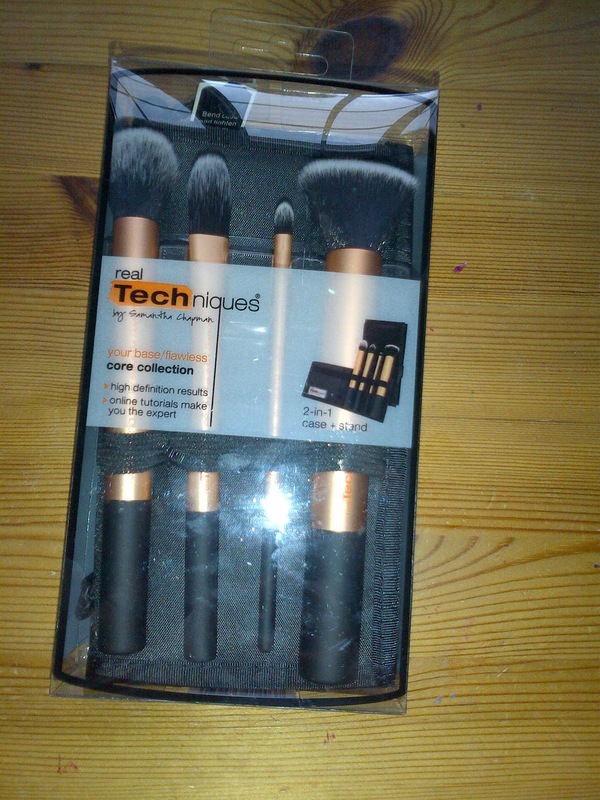 I would definitely recommend these brushes, they are easy to use, great quality and so don't malt, look nice and make your make up look much smoother. Do any of you guys use the Real Techniques brushes? Let me know if you would recommend any of their other brushes as I would love to know which ones are good! too bad I don't live in the states. Original source shower gel and L'oreal modelling!